A Work from home setup is a common need for those people who provide services from their home. These days many people work from home, and often need computer setups and configurations to support and leverage their operations. Typical work from home setups involve networking, software setups, multiple screen configurations, connecting the phone to software and much more. This could involve IP phones and software, customer service software, or some specialised programs, or connecting to a particular service, web cams and other types of connectivity. 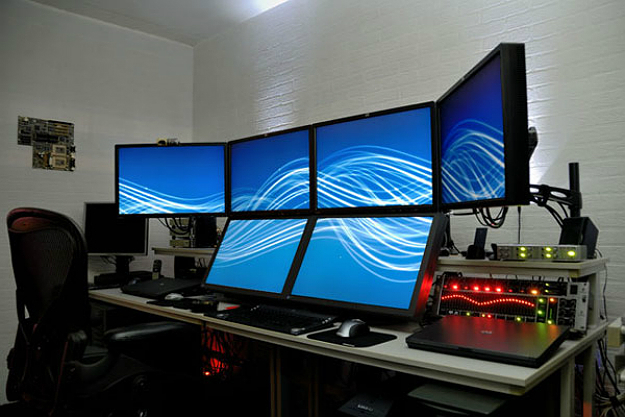 At Snappy Techs we can help you setup your home work station to support all your needs. Typical work from home enviroment involve a couple of networked computers, multiple monitors, IP based phones, control dashboard software, customer service software, a single network router, a switch/router combination, high quality speaker, high quality microphones, HD video and sound recorders and much more. We also install other peripheral devices such as printers via WI-Fi and ethernet cabling. We work with musicians for home based studios, customer care professionals, home based company owners, home offices, and any home based businesses that need a unique systems setup. We specialise in custom computer systems and setups to fit any use case, and are well acquainted with all underlying technologies to ensure a smooth and reliable workspace, and to ensure that you are well supported in the case of any issues you may run into. We are also network experts, and any good setup scenario involves networking. Need help setting up your Ottawa work-from-home office? Get in touch with Snappy Techs Ottawa for help with your home’s IT needs. We will assist your with setting up your computer and devices to be able to work from home.